Pepper Sauce bottles were used to season tainted meat that was slightly spoiled due to the lack of refrigeration. Earlier bottles are pontiled and same have a cathedral style. 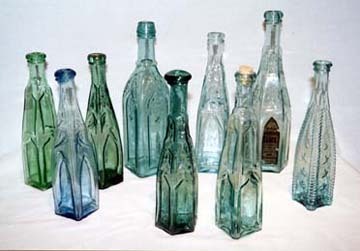 Small cylindrical shaped bottles were carried by Civil War soldiers.